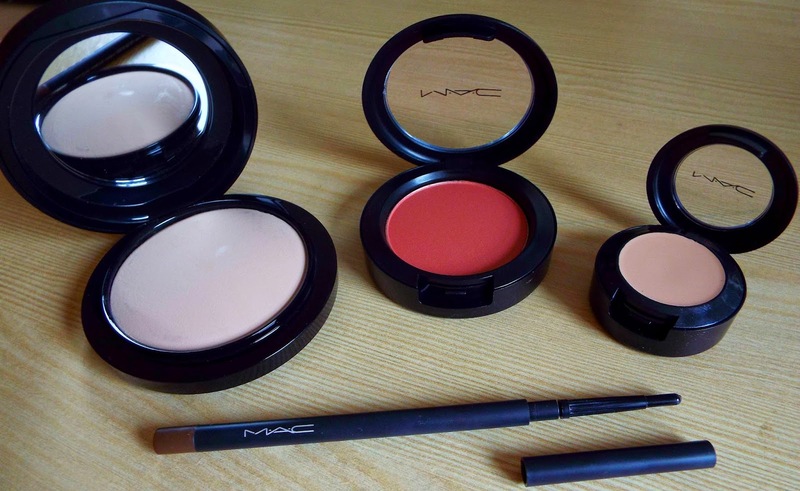 I've done a bit of MAC shopping over the last few weeks and picked up some of my essentials. First up the Mineralize Skinfinish Natural Powder has had a makeover and comes with some new fancy black packaging with a mirror in side which is very useful. My previous one lasted my for at least a year so you are definitely getting your moneys worth as it costs £23. I love the coverage of this, but best of all it feels so light on the skin and the application is simple. Lingering Eyebrow Pencil is my most re bought item from MAC, I think this must be my fourth re buy of this just because I prefer a soft pencil as it makes application so much more easier and you can get your desired effect with little fuss, this costs £13.50. 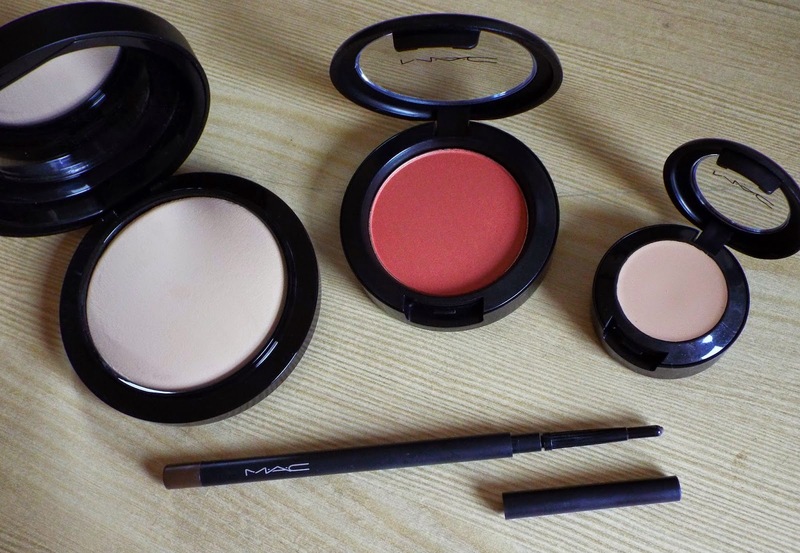 It was time to add a new blusher to my minimal blush collection as it is one of makeup item where I have a few favourites and I just stick to what I know. 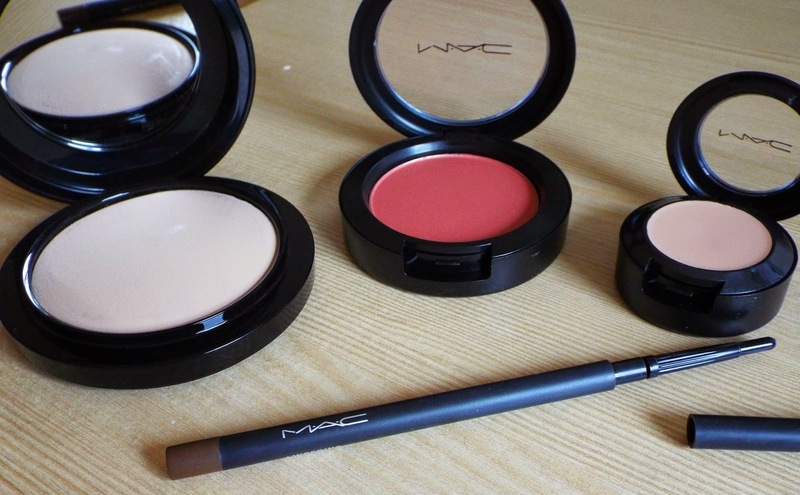 The colour is Peachykeens and it suits my fair skin tone beautifully and costs £18. Last up I wanted more of a cover up blemish product so I picked up the Studio Finish SPF 35 Concealer in NW15. I have been previously wearing this product in NC20 as I was advised that this was best for my skin tone even though my foundation which is a perfect match is NW15. On application I have always found it a bit too yellow for my skin, even though it does work lovely as an undereye brighten. So this seemed liked the perfect solution to all my problems, and I am hoping it is at it's price tag of £15.50.